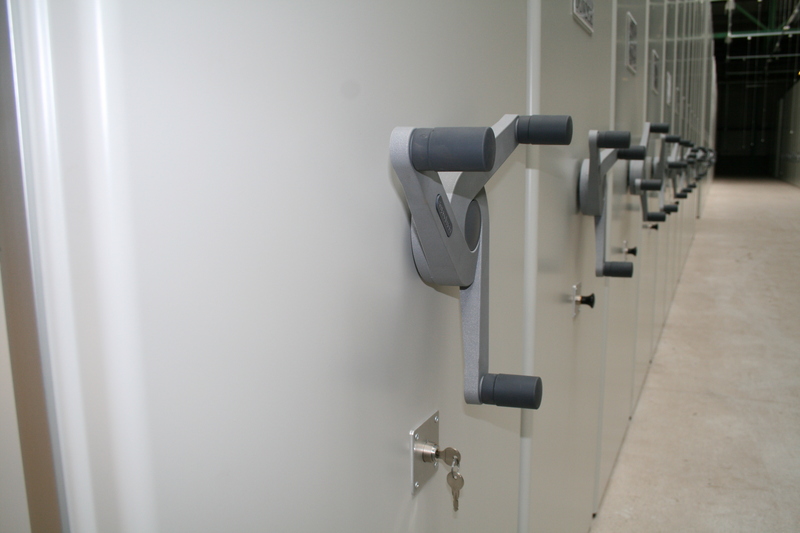 CSI (formerly ESE) install space-saving mobile archive storage system at NHS National Services Scotland. NHS National Services Scotland (NSS) works at the heart of the healthcare system to deliver national strategic support services and expert advice to NHS Scotland. Accountable to the Scottish Government, NHS NSS employ a team of around 3600 highly specialised health professionals. NHS NSS required a new centralised storage facility when their Practitioner Services division relocated to office space within the NSS headquarters at South Gyle. NSS were looking for a durable solution that would use their limited space in the most efficient way possible. CSI solutions team’s in-depth analysis of their brief and friendly, collaborative approach convinced NSS that we could deliver an installation that would meet their needs. CSI provided a bespoke mobile shelving solution that uses new technology to offer enhanced operating convenience and control for the client. The Electro mobile shelving system is activated by a simple touch panel, providing rapid access to archives even when users’ have their hands full. Electro mobile shelving was able to save valuable floor space for NHS NSS. The system requires only one access aisle as the mobile units can be moved individually or together to create an aisle as and where entry is required. The system’s Motor Current Monitoring System (MCMS) ensures that convenience is not achieved at the cost of the staff safety. The device detects when pressure has been applied to a moving unit by a user or an obstacle in the aisle and is guaranteed to shut down instantly. Aesthetics played a central role in the project brief as NSS wanted a storage solution that would complement their existing office interior. CSI solutions team designed the client’s Electro system to incorporate decorative elements such as sleek maple front panels. 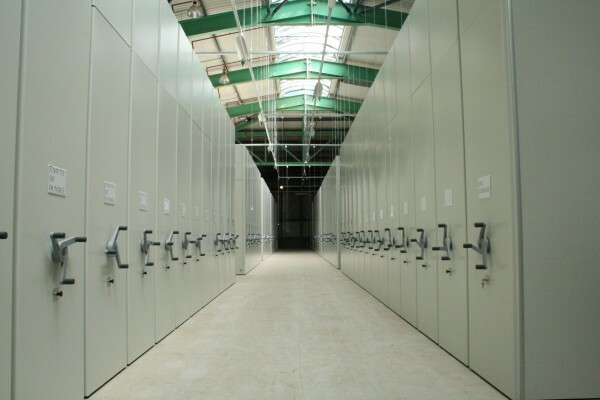 The project also included fitting bespoke bays with secure sliding doors, lateral filing rails and pullout reference shelves to fulfil all of NSS’s organised storage requirements. CSI (formerly ESE) delivered this project on time, within budget and to a high specification. 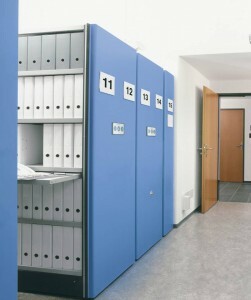 NHS NSS now have a space-saving storage facility that promises its users an easy and efficient operating experience. The Electro shelving system is safe, durable and aesthetically appealing, matching all of the client’s requirements.